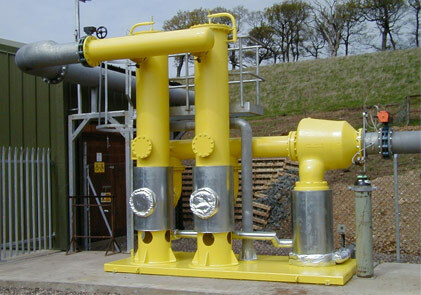 Kelburn Engineering Ltd has over 20 years experience in the design and manufacture of separation and filtration equipment for the efficient removal of contaminants found in flows of landfill, sewage, biogas and mines gas including coal mine and coal bed methane used as fuel for power generation. The gas generated at the sites mentioned above has been found to be contaminated with solids and varying degrees of moisture entrainment. 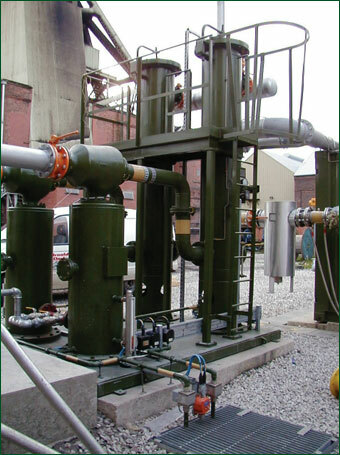 From our lengthy experience at various gas sites we can now provide Separation or Separation / Coalescing / Filtration packages to suit site-operating conditions. 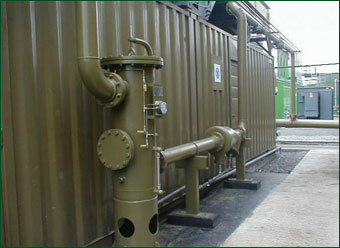 The equipment supplied provides protection to compressors, burners, fares, catalyst beds, gas engines and gas turbines. Packages are supplied for both new projects and as retrofit units for existing sites with ongoing solid and/or liquid entrainment problems. Site visits can be arranged and units custom designed to suit specific applications. The Kelburn Engineering High Efficiency Knockout Cyclone Gas Separator has been developed to satisfy the dual separation requirement of large volumes of liquids and the removal of solid debris. Large water/solids quantities are best handled by the application of the KSS Type Slug Catcher Cyclone Separator. A large number of these are operational and the KSS Type unit, can typically handle well in excess of 2000 litres of water per day. The Kelburn cyclone separator offers a compact and efficient option to Knockout drums and Scrubber vessels. Where water quantity is small, our KS Type Coalescing Cyclone Separator can be provided to give very high separation efficiency and locations can be at booster inlet or outlet, at after-cooler outlet or actual point of application, e.g. Engine Inlet. In either of the above situations, the KSS or KS Type Cyclone Separator can also be combined with a Kelburn KR Series coalescer filter unit to provide a complete filtration solution. On booster discharge, we can offer either a KS Type Coalescent Cyclone Separator or a KR Series coalescer filter or a combination of cyclone separator and coalescer filter. 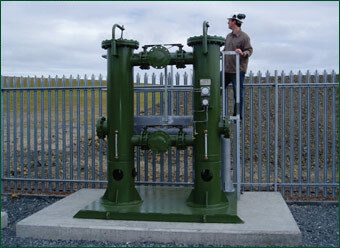 In all cases we can offer complete with reservoir, level control, dump valve or float drainer. A complete self-contained and integrated separation / filtration package is shown above. 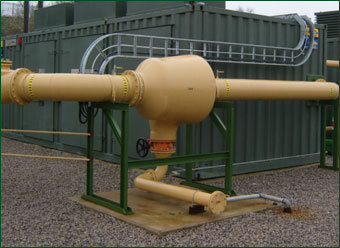 Cyclone separators operate totally maintenance free. Designed for long continuous operational periods before element change. Full range of separator and filter sizes.